Typefaces are unique and work for different reasons because of their subtle differences. 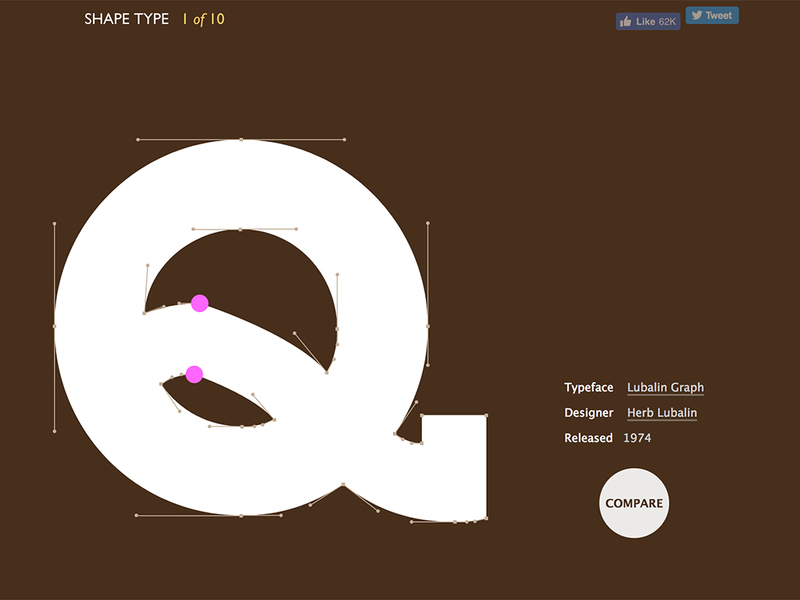 With Shape Type, you adjust anchor points and handles to achieve the right shape of the letter you’re given. What makes it hard is that you have no example to go by; you just guess and try to see what makes the letter look balanced. Once you think you have it, you click “compare” and see how close you were to the original letter shape. It’s harder than it looks! Also, with each letter, you get to see the typeface, typeface designer, and the year it came out. 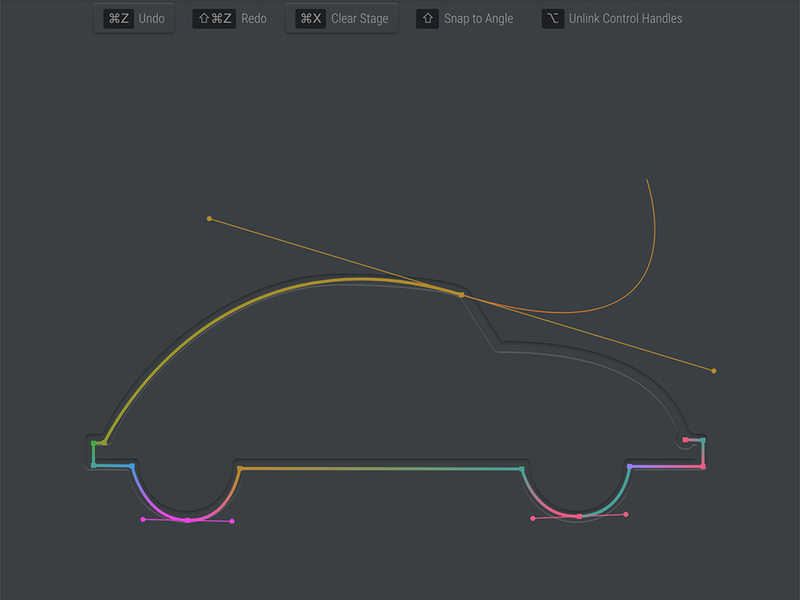 The Bezier Game is a game changer when it comes to learning how to use the pen tool. The pen tool is probably the most intimidating part of working in Adobe Illustrator. It’s just strange and hard to get used to clicking and moving your mouse around to make a curve. The Bezier Method game starts with a short tutorial (helpful if you literally have no idea how to use it) then you’re given more complicated shapes to outline with the pen tool. The challenging part? You’re given a limited number of “nodes” so you have to outline the shape using limited clicks. Kerning is so important when it comes to pleasant and readable type. Most typefaces are already programmed with good kerning but sometimes you need to make adjustments. Kern Type is a fun way to see if you know what you’re doing with kerning. You’re given the space between the first and last letter of a word to move the middle letters right and left to achieve a uniform distribution of the type. Once you think you have it, your solution is compared to the solution of a typographer. Admittedly, it feels great when you get a high score! You know Hex codes – those 6 number/letter combinations that create colors? Well it turns out those crazy combinations have specific meaning and you’ll learn about it quickly with Hex Invaders. 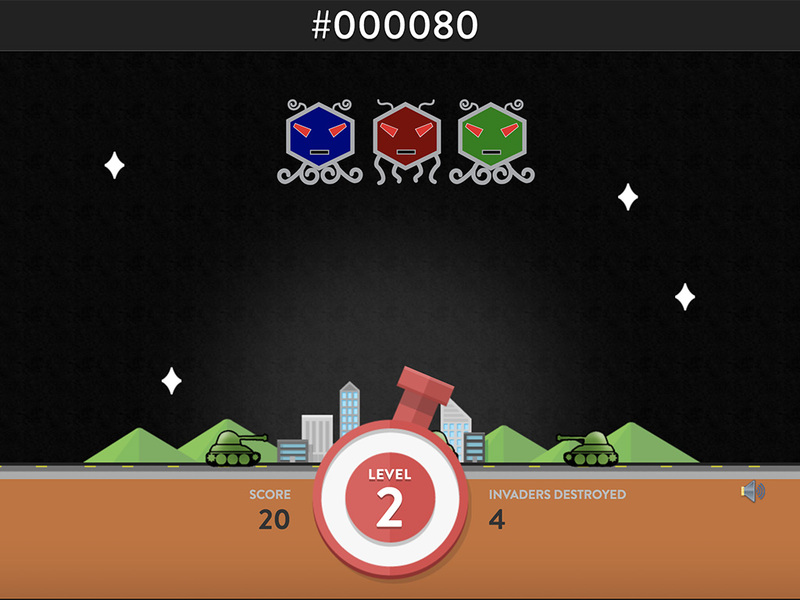 The objective is to destroy the invader that matches the supplied hex code at the top of the screen. It looks like it’s just fun and games but it requires you to think fast and think about hex codes in a way you probably never have. Did you know that typefaces could date? Yeah me neither. 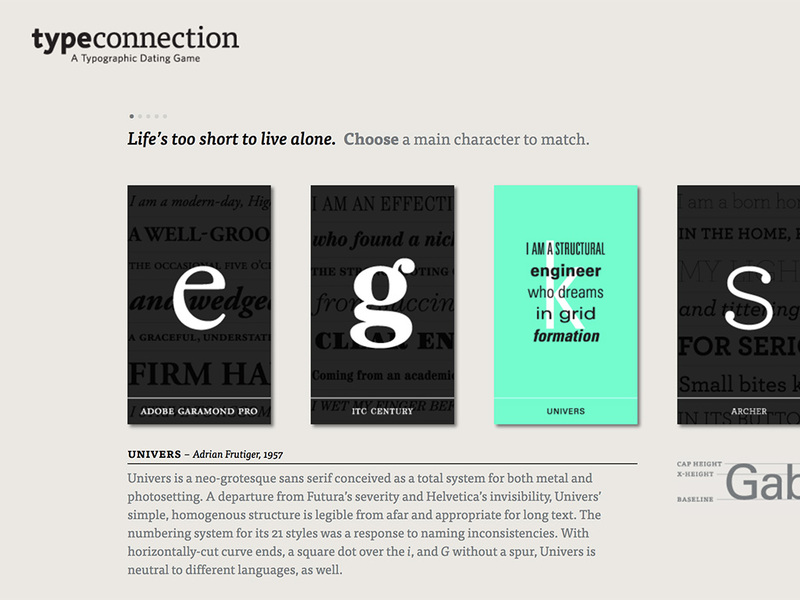 Type Connection is the “dating” game for typefaces. Essentially, it helps you learn how to pair typefaces and why those pairs go together well. The game presents each typeface and talks about its attributes, then it’s your job to pick two that should be paired together. Once you pick them, the site lines up each typeface and shows you why they are or are not compatible. After that, it’s time to “send them on a date” and Type Connection tells you how the date went. Remember playing memory games as a kid? They were easy, right? You just flip cards and match pictures. Simple. 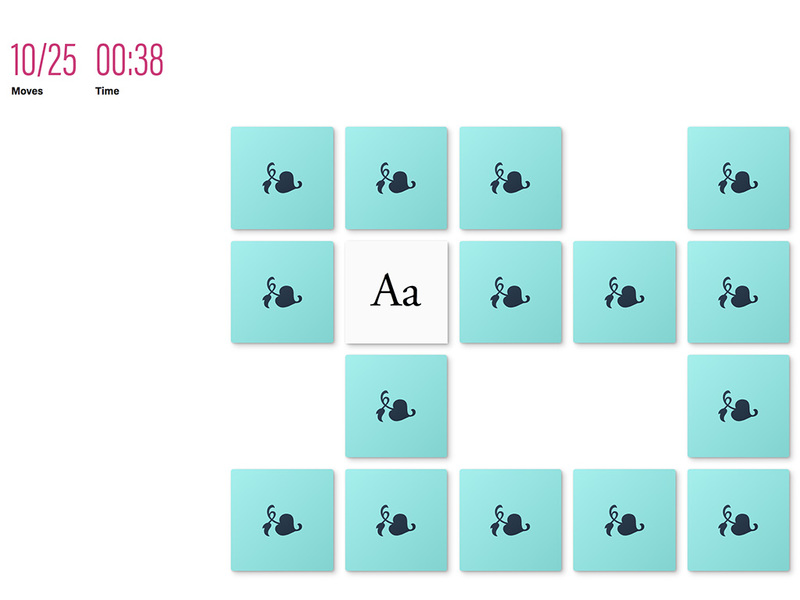 Font Memory Game takes it to the next level by showing you typefaces on the flip-side of cards. Easy! Easy? You would think so, but there are so many typefaces with only the tiniest differences so it takes a minute to get the hang of. Also, you only get 25 flips so you have to pay attention! 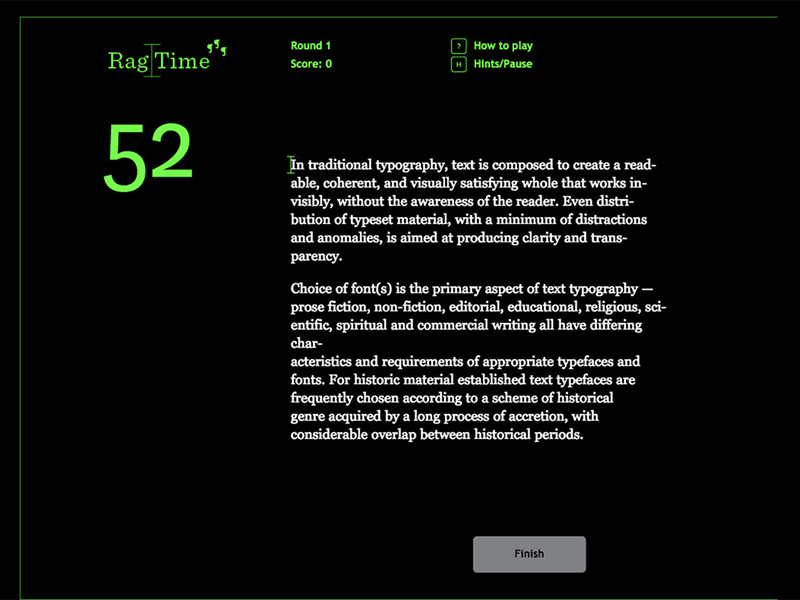 There are a lot of elements to think about when it comes to typography, and “rags” are one often overlooked. Rags are the vertical margins of a text block. The rag usually refers to the right margin because typically paragraphs are left-aligned and if the rag is too uneven, it affects the text’s readability and nobody wants to read a raggedy block of text! Oh, and forgot to mention – you can’t use your mouse in the game. At all. You have to use your arrow keys and other keyboard shortcuts to adjust the text.